When I heard that my long-time friend and colleague Dr. Ed Wagner was to receive the 2016 Primary Care Community/Research Leadership Award from the Patient-Centered Primary Care Collaborative, I was delighted, though not surprised. Having worked with Ed for nearly two decades on various regional and national health care-improvement efforts — including seven years on the Safety Net Medical Home Initiative — I have come to recognize just how far his influence spans. Across the globe, millions of people owe improvements in their health and well being to Ed’s work as senior investigator at Group Health Research Institute and director emeritus of Group Health’s MacColl Center for Health Care Innovation. From Aboriginal health centers in Australia, to small-town primary care practices in Arkansas, to community health centers in the Midwest, clinicians using approaches pioneered by Ed are helping patients with chronic conditions actively and effectively manage their own care between infrequent office visits. 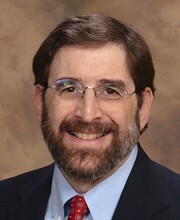 Health systems from academic medical centers in Pennsylvania, to National Health Service Trusts in the United Kingdom, to Group Health clinics in Washington state use the Chronic Care Model that Ed and his team at the MacColl Center developed to reduce suffering by facilitating productive interactions between informed, activated patients and prepared, proactive primary-care teams. Ironically, few of the patients know it. I’m thinking, for example, of patients with diabetes who are at risk for blindness, but whose vision loss is prevented because registries prompt their providers to reach out and schedule past-due eye exams. Those patients don’t know that the registries exist because their primary care teams implemented the Chronic Care Model. Neither do the frail elderly, or those with complex illnesses, recognize that the compassionate and effective support they receive from a case manager is only there for them because providers followed the roadmap charted by Ed as he taught health systems to focus on coordination of care. Those who provide care owe a great debt to Dr. Wagner as well. Ed’s work has had a profound impact on the way health care organizations today approach chronic illness. His research, teaching, and implementation work have regularly demonstrated that health systems designed around acute care for episodic conditions are not well suited to help people with chronic conditions. Coming to terms with this reality, many have turned to the Chronic Care Model as a guide to system redesign. The model has been particularly influential due to data from numerous regional, national, and international collaborative initiatives conducted in diverse settings that have shown improved health outcomes — and Dr. Wagner had a hand in designing and leading many of these collaboratives. 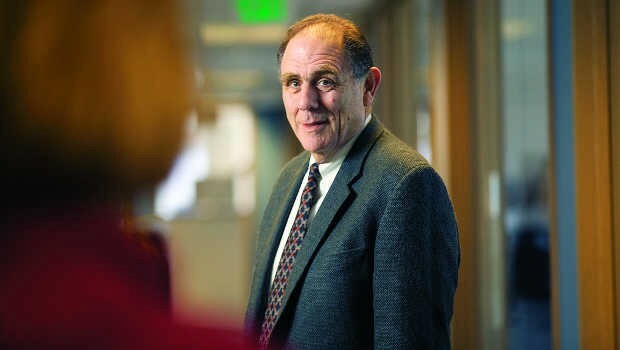 While some health services researchers might see publication as an endpoint, leaving it to others to translate that work into practice, Ed’s career has been distinguished by a passionate and relentless commitment to leading implementation initiatives that result in sustainable change to patient care. In addition, Ed is an astute observer of and listener to those who actually deliver and receive care in messy, real-life settings. From homeless clinics to university medical centers, he has spent countless hours sitting with staff — receptionists, doctors, medical assistants, and nurses — and with patients to explore what is working well, and what they are struggling with. Such discussions have doubtless contributed to the fact that his findings and recommendations resonate not just with health policy experts and academicians, but with front-line care delivery teams as well. Many who aspire to improve health care delivery, including those of us who have been privileged to work with Ed on projects large and small, look to him as an inspiration and source of wisdom and guidance. He has been a generous mentor and a gracious collaborator to scores of students and colleagues — and his positive influence on patients, caregivers, and researchers will endure. Please join me in congratulating Dr. Ed Wagner on November 9 as he accepts the 2016 Primary Care Community/Research Leadership Award!